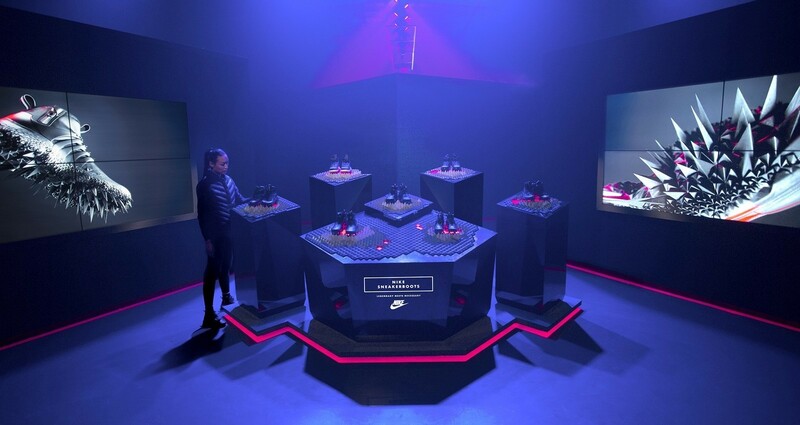 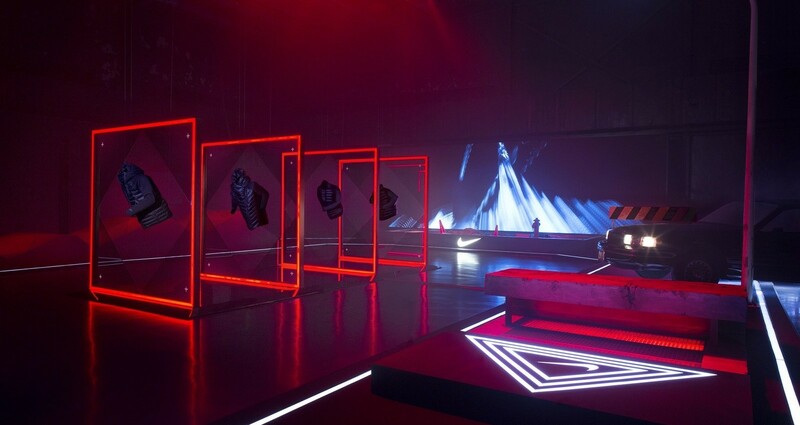 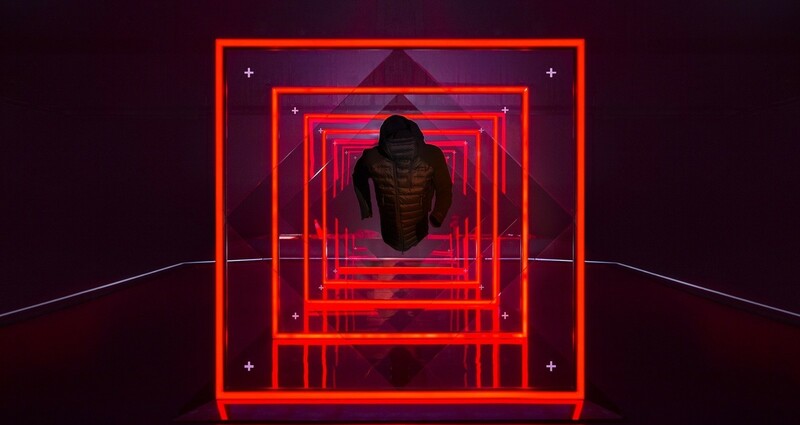 A digitally-enhanced gallery and obstacle course puts Nike's new winter line to the test...in high style. 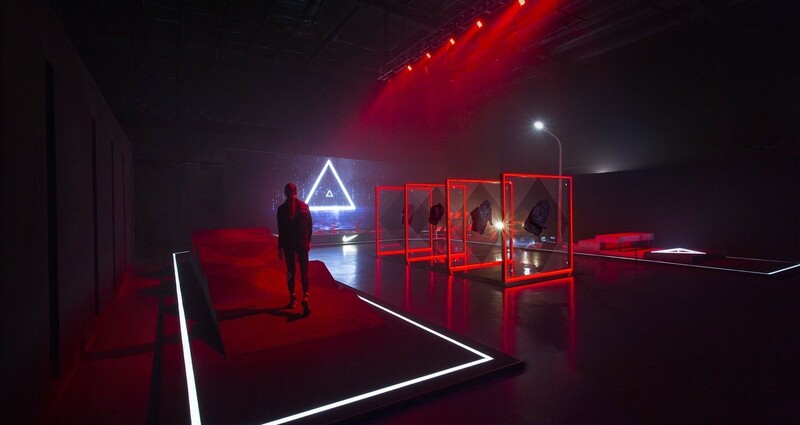 Multiple hi-tech product displays guided participants to the core attraction: a 170-foot-long interactive obstacle course–complete with jagged terrain, a flooded street and barricaded alley. 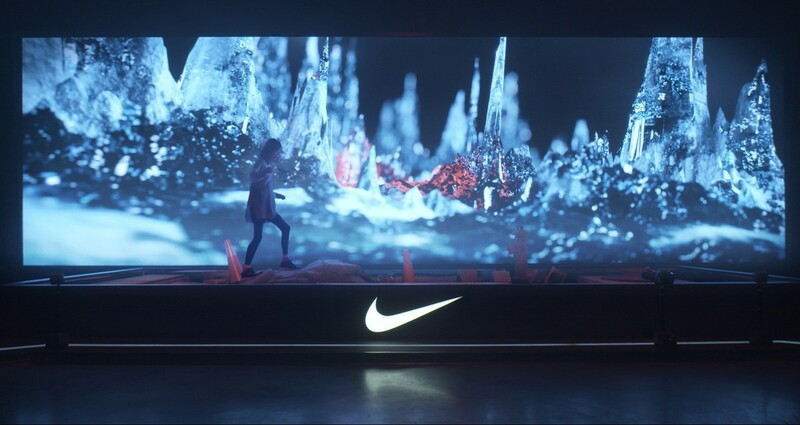 This competitive event used human motion to trigger visuals and track participant’s scores in real-time, while an automatic photo-capture feature displayed their victory across a vivid 30-ft-wide display.